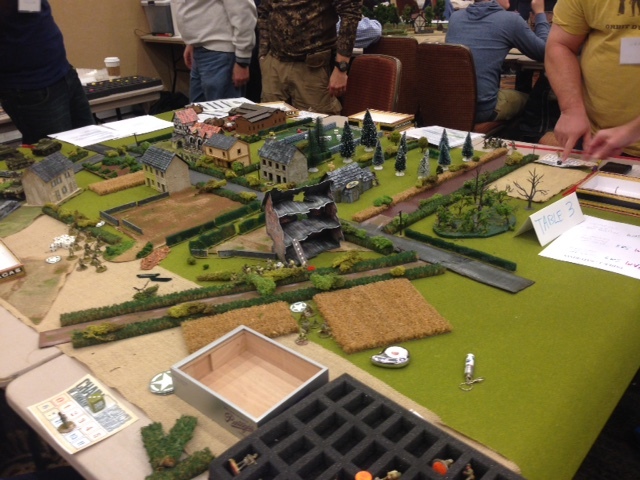 Southern Front 2014 – Some Chain Of Command Action! at GAME THEORY of Raleigh.NC. If you’re interested in judging let Bruce Schaper know via the Yahoo Mailing list. Also, SOUTHERN FRONT 2015 is absolutely open for business. or just click on Southern Front tab at the top of this web page. Submit your games and or pre-registrations now. Both forms are working properly and have been tested often as still working. Also of note, the hotel code is visible on the page, and has recently been re-tested as working via the online link. So get your hotel reservations in while the getting is good too.